Spring is in the air. But for many, the joy of longer days and warmer weather is tempered by a head-crushing, energy-depleting sinus headache. Why is this? It’s not unusual that most sinus headaches occur in the spring, as sinus headaches are a result of too much Kapha (earth and water) in the body. Spring is the Kapha season. In the spring, the weather warms, and the mucus that has built up in the body over the cold, winter months begins to let loose. This is similar to the snow melting and filling the streams now when the weather is warming. The more Kapha someone has in their body’s constitution, the more likely they are to have issues with sinus headaches. Vatas and Pittas will occasionally experience this type of headache, but only when their sinuses become too dry from dehydration, a cold and windy climate, or incessant inflammation and irritation due to various allergens. Dry sinuses are treated quite differently than the typical sinus headache, and the treatment plan for this type of headache is outside the scope of this blog post. Factors typically contributing to sinus headaches include a moist, cold climate; a diet that is too cold, heavy or moist; deep-fried foods; excess sugar and processed foods that clog the channels of the body. Additionally, a lethargic or sedentary lifestyle makes sinus headaches more likely in the Spring. While the symptoms can present much like those of a migraine, sinus headaches typically aren’t associated with nausea, vomiting, or light/noise sensitivity. Instead, you’re apt to feel pressure around the eyes, cheeks, and forehead, and it may feel like there is an infection. Your nose may feel stuffy, and the pressure and pain in your head feels worse if you bend forward or lie down. Even your upper teeth may ache, and you may experience an extreme sense of fatigue. Whatever the cause, if you are suffering from a sinus headache, you want to get rid of it…and fast. 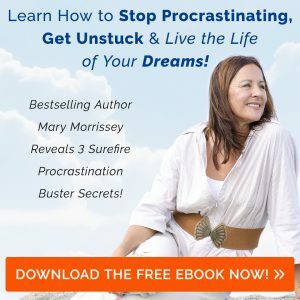 Here’s some fast-acting, as well as preventive lifestyle changes, to assist. Hot Water Flush: Sip lots of hot water throughout the day to flush out the toxins. When your sinuses are clogged, avoid ice water, cold water and any type of cold beverage, particularly milk. Ginger Juice for Nausea and Excess Mucus: Wash off 1/2 pound of ginger and chop it into pieces to fit through the juicer. Juice and store in an airtight glass jar. One half pound of ginger should make about 1/2 cup of juice. Mix 1 tsp of this juice in 1/2 cup of warm water. Drink this every 3-4 hours during illness, or as much as needed. Do not combine with aspirin or other anti-coagulants or blood thinners. Inhale Garlic Aroma: Crush 4-5 peeled garlic buds and inhale the fragrance. This will reduce nasal congestion. Steam Facial: Boil 1 to 2 liters of water and add a few drops of clove oil (or a large spoonful of cloves), 10-12 crushed mint leaves, and a few drops of eucalyptus oil (or 1/3 cup of eucalyptus leaves). Cover the container with a towel and inhale the steam for 10-15 minutes. Eucalyptus helps relieves symptoms by controlling airway mucus and by stimulating the immune response. Continue this twice a day until congestion clears and then once a week to clear the phlegm that gets deposited in the sinuses. If you don’t have any herbs, doing the steam without them is still better than nothing, so don’t let a lack of ingredients stand in your way. 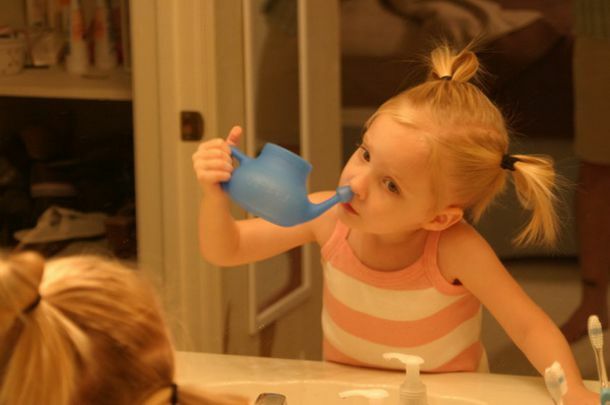 Neti and Nasya: Using a neti pot to irrigate your nasal passages 3-5 times per week is a great way to keep colds and congestion at bay this time of year. You can find a good quality neti pot online or in most grocery stores. The key, however, is after you irrigate your sinuses, you MUST coat the nasal passages with oil to help keep outside invaders out. Just stick your pinky finger up there with some sesame oil on it; we won’t judge! Another option is snuffing a good quality nasya oil and tilting your head back for about 10 minutes. Be sure to heat any of the oils to at least body temperature before inserting into the nostrils. Exercise: For a sinus headache, exercising vigorously is the best preventive. This gets the lymph moving, helping to clear the sinuses of built up mucus. And once spring is sprung, spending more time outside in the fresh air and warm sunshine will help heat the body and get the blood and mucus moving. Fast, hot yoga and flow (like vinyasa) vigorously done are the best forms of yoga during for Kaphas during the Spring, particularly for those with Kapha congestion and headaches. Avoid bending and inversion poses while you have a headache though, as this will increase the pain. Diet: Sinus headache sufferers should follow a Kapha diet, one focused on Bitter, Astringent and Pungent flavors. Reduce the Sweet, Salty and Sour tastes. This is a good meal change for everyone to some extent during late Winter and Spring. Consume cooked veggies and soups, as well as bitter greens. This is the time of year to cut back on carbohydrates and meats. In general, favor warm, light, dry foods over cold, heavy, or deep-fried foods. And add more stimulating spices like cinnamon, ginger, basil and black pepper to your dishes to keep them interesting and to increase your digestive agni (metabolism).